Location, Location, Location!!! Donâ€™t miss out on this great condo. Walking distance to CU Campus and close to public transportation. Shopping, Restaurants, Stampede, Bound, 209 and more!! Breath taking mountain view !!! 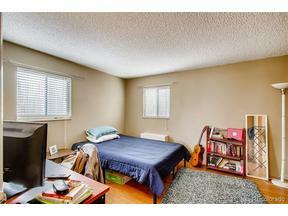 One bedroom and one bathroom condo perfect investment property or to live in once the tenant moves out! On site laundry, reserved parking, tennis courts and a swimming pool! This property will not last long! !